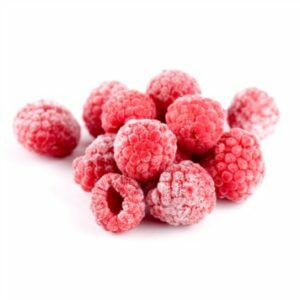 | Healthy Living Articles | Food and Meals | Get Razzed About Frozen Raspberries! 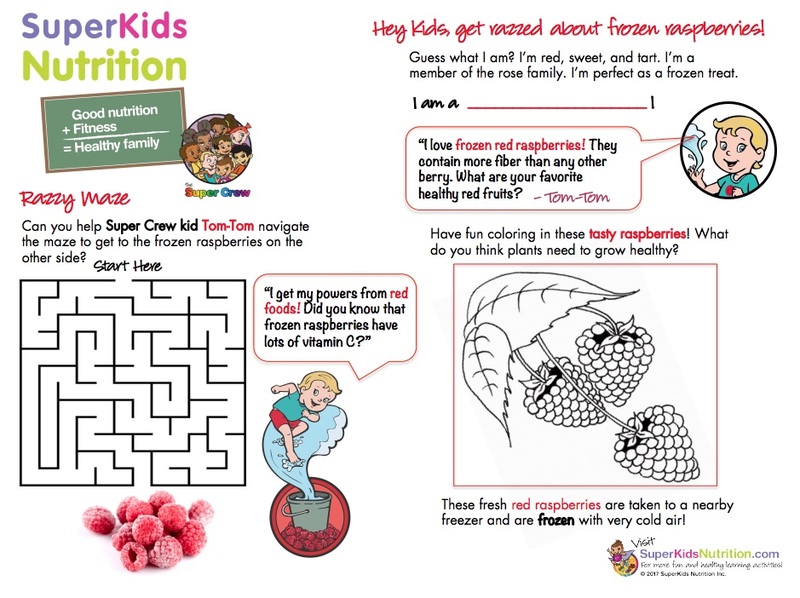 Check out our new free Super Crew raspberry activity to keep kids occupied while cooking dinner. 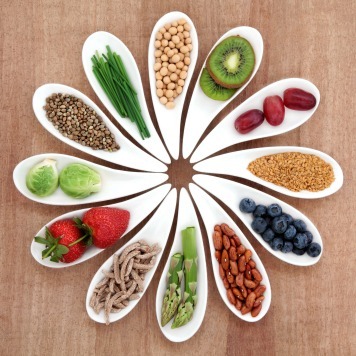 It’s packed with tasty ideas your kids will love! “Get Razzed About Frozen Raspberries” is a perfect way to let the kids learn and have fun with the Super Crew. 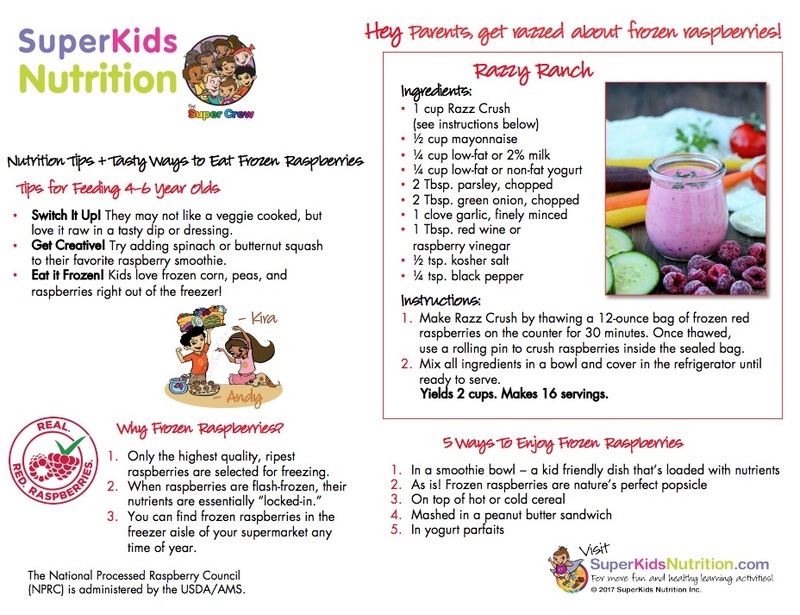 For a printable PDF of this activity, visit our Healthy Kids Learning Activities or click on the images below!